To make a movie about three lecherous old men salivating at every woman and girl who has the misfortune of falling within their eyesight was indeed a courageous thing to do back in the 1980s, or in any era that we have seen, for that matter; particularly so in India. That’s because we have never been comfortable with lust and advancing age. To us, lust has always been the unplanned thing that sparks by sheer accident between two young people genuinely in love on a dark, rainy night against the backdrop of thunder and lightning with fire burning bright somewhere. Lust is what is apologetically permissible between loving couples. Lust without love manifested its villainy in the likes of Shaki Kapoor and Prem Chopra trying to lay their dirty hands on women. Heroes insisted on drowning in the oceanic eyes and losing themselves in the lush tresses. Old age has had nothing to do with heroic love; only with villainous lust. 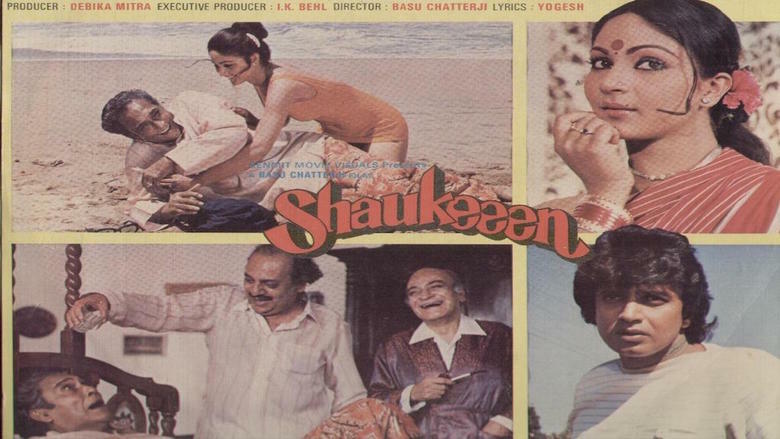 But then, Basu Chatterjee was a courageous filmmaker, who ventured to give us Shaukeen in 1982 with Ashok Kumar, Utpal Dutt and A.K. 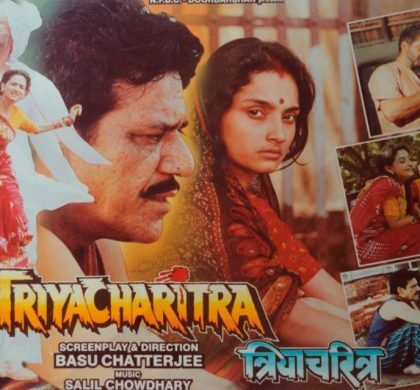 Hangal in the lead along with Mithun Chakraborty and Rati Agnihotri. The film wasn’t really a blockbuster but did not go unnoticed, unlike its 2014 remake ‘The Shaukeens’ with Anupam Kher, Annu Kapoor and Piyush Mishra with Akshay Kumar and Lisa Haydon, which came and died without a whimper. The movie looks into the side of men that had not been looked into until then. It’s hard to say if it’s the dark side of men or just a side that nobody found intriguing enough to make a movie about. Om Prakash Chaudhary (Ashok Kumar), Inder Sen alias Anderson (AK Hangal) and Jagdish Bhai (Utpal Dutt) are three old friends, who are old enough to have children of marriageable age and at least Mr. Chaudhary is shown to indeed have. But, apparently, they are not too old to harbor tender cravings for female company of the kind that we have been clearly misled into associating with youth. Chaudharay Sahab can’t help eyeing the young girl in the neighborhood who struts around donning the dark glasses that make Chaudhary Sahab’s heart miss a beat. Mr. Anderson (that was before Martix) has too many dictations for his pretty secretary, whose comfort is at the top few items on Mr. Anderson’s priority list, and the subject matter of Jagdish Bhai’s wet fantasies is a woman tenant living alone on one of his properties, and that’s who makes the monthly rent collection quite an event for Jagdish Bhai. The problem is that none of the men is courageous enough to push things with the woman of their respective fantasies. The good side is that none of them is under the impression that it is the love thing. They know well enough it is the thing that they were no longer supposed to be thinking about. It’s time for the lustful longings to retire. Only they chose to stay back for some overtime. The imagination of the trio is fired up when Chaudhary sahab shares his experience as a paying guest in a paying guest accommodation in Nasik when the caretakers of the establishment sent a young woman to serve him to the best of her abilities and to the wildest of his fantasies. Of course, for the fear of his wife’s coming to know, Chaudhary sahab fails to make the most of the opportunity, but he is not averse to testing his courage yet again. Having decided to travel to Nasik, they have a practical problem to deal with. To travel they need a driver other than the regular driver so as to keep their escapades under cover. Ravi Anand (Mithun Chakraborty) is an educated young man looking for a job with his job interview a fortnight away. He pounces upon the opportunity to serve as a driver and make some money while he awaits the job. So, he pretends to be a driver with little education. The trio of oldies start for Nasik, but get slightly indecisive on the way. 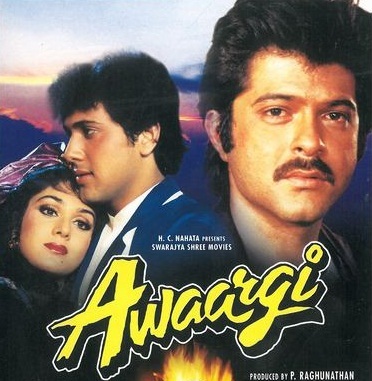 Ravi sees an opportunity to extract more for himself from the situation and suggests that they go to Goa instead, where he has his girlfriend, Anita (Rati Agnihotri). Of course, he doesn’t disclose the fact of his hidden objective to the trio. The trio, imagining better opportunities, agree to change their destination to Goa, and now Ravi has everything going for him. He is being paid for visiting Goa, where he is to get some time to spend with his girlfriend, or so he imagines and plans. Anita makes it look like a chance meeting and proceeds to make arrangements for their stay pretending all the time to not know Ravi. She befriends the three and has them stay in a bungalow close to her house, which means she would be close to Ravi at all times. Furthermore, she takes upon herself to prepare food for them and take them for sightseeing, both for a generous payment. On their part, the three lecherous men see their fantasies traveling towards rich fulfillment in Anita. Apparently, Ravi and Anita both remain oblivious to the motives of the scheming three, and each of the three gets to spend an afternoon alone with Anita while the remaining two ask Ravi to drive them around the city to facilitate the private time. Owing largely to the innocent non-participation of Anita combined with the gentlemanly hesitation against pushing the envelope too hard, none of the three manages to go too far with her. But in the end the three of them are somehow happy to have not done what they had come out to do in the first place. Interestingly, they are not sorry or repentant or filled with self-loathing for their lust. They are relieved only because actually doing something like that is a little too real to preclude the possibility of being discovered, and they don’t want to live under the constant fear of such discovery. The movie ends with their going back to their ways of living out their lecherous fantasies in the safety of their minds. There is no remorse, there is no guilt and there is no ‘course correction’. The movie tenders no apologies, and makes no moral case for or against entertaining lusty thoughts in aging brains. What’s interesting is that director Basu Chatterjee is very content accepting lust in older men as a fact of life instead of frowning upon it. 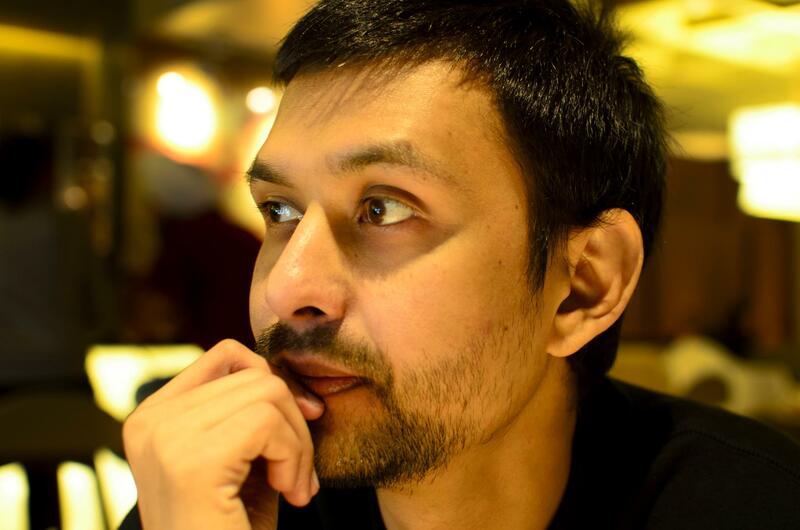 In the Indian setting, it does make people shift in their seats uncomfortably, for we, in India, are not accustomed to seeing our old men drooling over young women half their age although we do, at the back of our minds, accept — howsoever reluctantly — that even aging minds churn sleazy ideas. Basu Chatterjee’s light and easy acceptance of the fact must have made many people wince in 1980s. 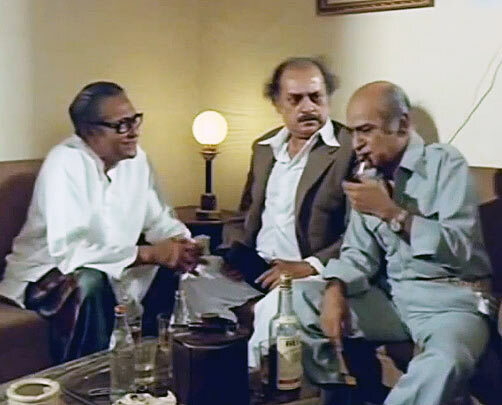 Ashok Kumar, Utpal Dutt and AK Hangal did very well performing their respective parts. But Ashok Kumar managing looks reasonably decent in the scenes that require considerable indecency, and it is Utpal Dutt that easily manages to deliver the most natural performance in terms of portraying desperate concupiscence. A fine film for those who have the stomach to take the truth without desperately wishing things were otherwise. Originally published as part of my Movie Review column LEGAL SCANNER (Classics) in LAWYERS UPDATE [October 2015 Issue; Vol. XXI, Part 10]. This movie review reminds me of Khushwant Singh’s novel “The Sunset Club”, in which three old men describe their sexual escapades to each other whenever they meet at the jogging park. However, unlike this movie, they just relive the past in their memories and refrain from doing any such act in the present. As correctly pointed out by you age and lust ought to be inversely proportional to each other in the minds of people, especially in India. Characters like that of Amrish Puri in “Koyla” and Om praksash in “Padosan” are either portrayed as villains or as repenting and apologetic Mamas or Chachas who later regret lusting for their nephew Bhole’s girlfriend. However, movies like “Nishabd” and “Cheeni Kum” that portray the element of love in the ageing men are still acceptable to the audience comparatively. I wonder whether is age an issue or lust?